The word of inspiration for this project is Thrive. "Grow tall and strong. Spread your branches far and wide. Dig your roots in deep. Take all you have in you and stretch." Daily Affirmation Cards and Booklet by Melissa Reyes. When the people in our PwH Facebook group were asked, "What images and colors do you think of when you hear the word Thrive?" They responded with greens and golds, flowers and growth. 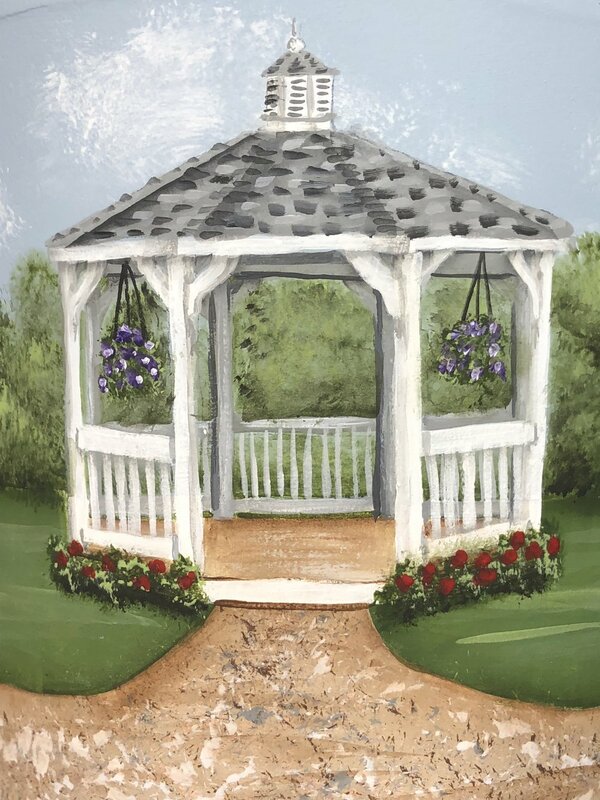 As a result, in this lesson we will be growing our own little garden around a lovely gazebo. The clay pot was a direct request from the students that attend the live class.